(Chris Detrick | The Salt Lake Tribune) Gonzaga Bulldogs forward Johnathan Williams (3) shoots past Brigham Young Cougars forward Eric Mika (12) during the game at the Marriott Center Thursday February 2, 2017. Las Vegas • The hierarchy in the West Coast Conference men’s basketball race is often referred to as the “Big Three” because Gonzaga, Saint Mary’s and BYU — usually in that order — have ruled the league since the Cougars joined it in 2011. In reality, it should be called the Big One, because the Zags are so far above everyone else in terms of national prestige and profile that mentioning another WCC program in the same sentence is usually a waste of time. “They have created the standard for what the conference should be,” new San Diego coach Sam Scholl said Thursday at the eighth annual WCC Tip-Off media event at Orleans Arena, site of the WCC men’s and women’s basketball tournaments in March. Surprisingly, the league’s nine dwarfs, including BYU, haven’t developed a case of Gonzaga Fatigue quite yet. That was true at Thursday’s gathering even though the Zags threatened to bolt the conference for the Mountain West last spring. Around here, what Gonzaga wants, Gonzaga gets. And nobody seems bitter about it. Even less of a surprise is that Gonzaga is picked to win the WCC for the umpteenth straight time in the annual preseason poll of the league’s 10 coaches. Saint Mary’s is picked to finish second and BYU third. “Gonzaga has been doing their thing, and they are the champs until somebody knocks them off,” shrugged BYU junior forward Yoeli Childs, the only Cougar named to the 10-member preseason all-conference team. The Zags got nine first-place votes (coaches can’t vote for their own teams), while BYU got Gonzaga coach Mark Few’s vote but still finished a point behind SMC, 68-67. It will take a lot to topple Gonzaga, which put four players — forwards Killian Tillie and Rui Hachimura and guards Josh Perkins and Zach Norvell Jr. — on the preseason all-conference team and also has San Jose State transfer Brandon Clarke ready to join the race for Player of the Year. “I think people are going to be shocked by his skill development,” Few said of Clarke, a 6-foot-8 forward who averaged 17.3 points and 8.7 rebounds per game before leaving the Mountain West school. Few and Dave Rose pushed through changes last spring that basically kept Gonzaga in the league, so BYU’s head coach isn’t about to complain that the Zags’ presence in the WCC means everyone else is playing for second place. “The most important thing for us to realize is there is a national presence in our league, and we have to recruit to it and compete with it,” Rose said. “I think that is a good thing for our league. Our guys get excited to play that game. Consistency is the key. They have been able to consistently year in and year out go on the road and win games with their depth and their talent. 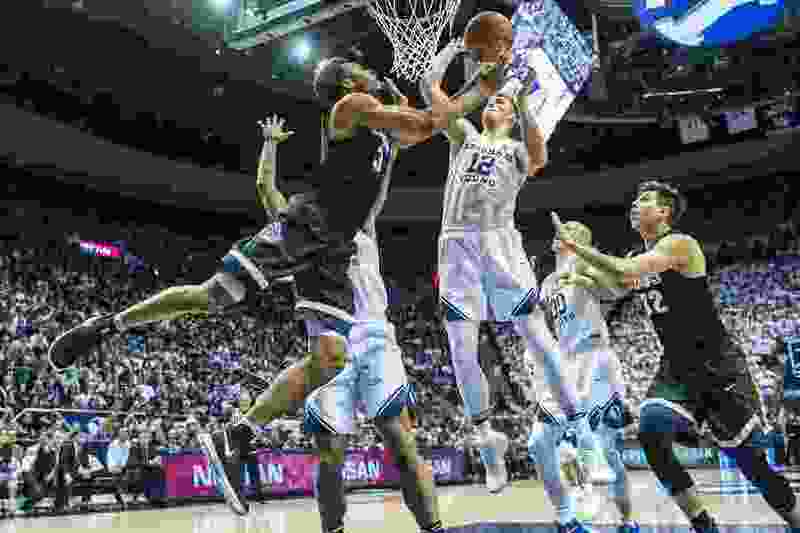 BYU’s Childs was also named to the 2019 Karl Malone Power Forward Award watch list on Thursday, with 19 others. Rose said placing only Childs on the all-conference team “surprised me a little bit” and mentioned that coaches may have forgotten that the Cougars have two other returning all-league players — guards Nick Emery and TJ Haws — from past years. Emery will sit out the first nine games due to NCAA sanctions. Regarding more sanctions, which Rose acknowledged at BYU’s media day could be coming around Nov. 1, the coach said he’s not sure what those sanctions could entail.